The events of apoptosis represent the outcome of processes defining a common physiological pathway of dying cells, and the inputs to this pathway are complex and highly varied1–5. 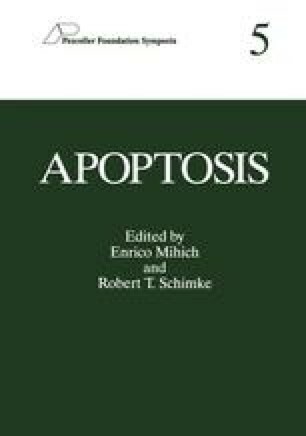 It is clear that the actions of cytotoxic agents in mammalian cells frequently feed into the apoptosis pathway, and an extremely wide variety of agents/treatments have been shown to induce the events of apoptosis in cultured mammalian cells6,7. It is important to note, however, that cells vary widely in responses to specific cytotoxic agents and the induction of apoptosis by a given agent can vary between cell lines.